Rhyming slang, boracic lint ⇨ skint. 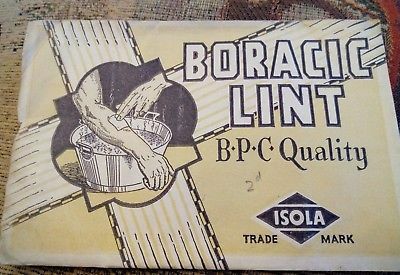 Boracic lint was a type of medical dressing dipped in a solution of boracic/boric acid. See more at skint. Earliest documented use: 1959. Michelle Smart; The Sicilian's Unexpected Duty; Harlequin; 2014. See more usage examples of boracic in Vocabulary.com’s dictionary.